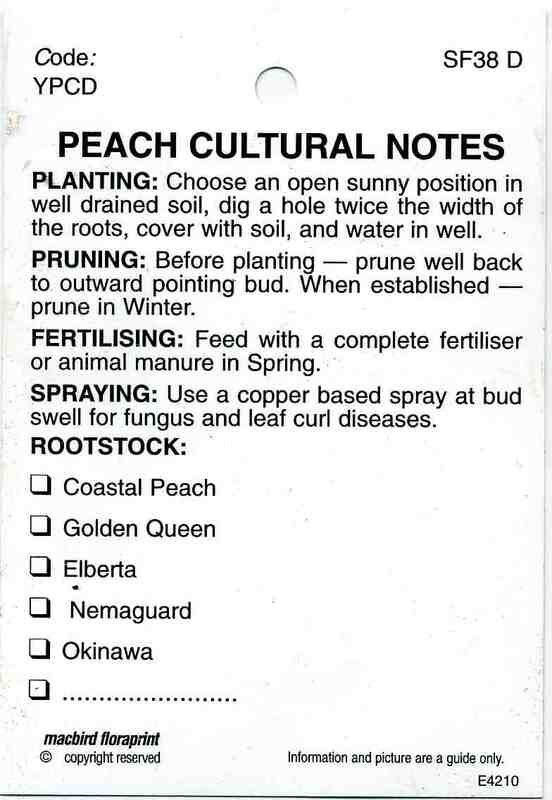 Planting: Choose an open sunny position in well drained soil. Dig a hole twice the width of the roots as shown below, cover with soil and water in well. 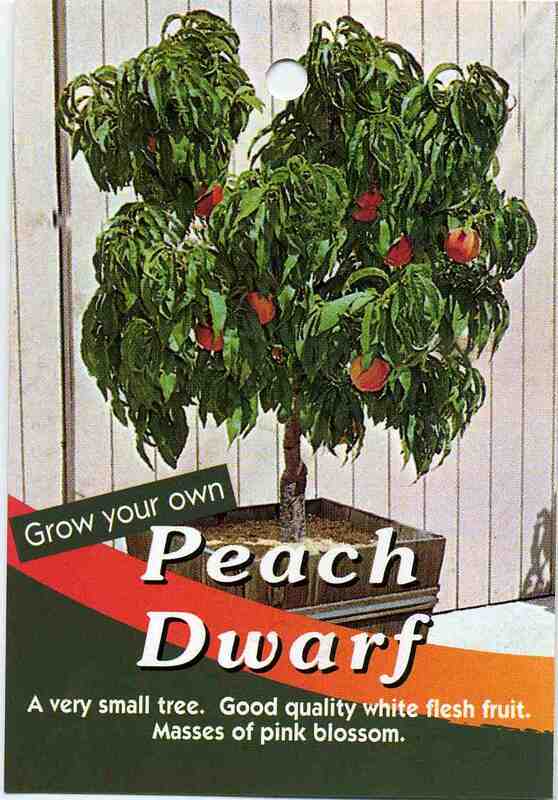 Pruning: Before planting - prune well back to outward pointing bud. When established - prune in winter. Fertilising: Feed with a complete fertiliser or animal manure in Spring. 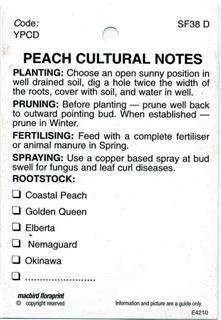 Spraying: Use a copper based spray in late Winter for fungus and leaf curl.